This is not intended to be tax advice, merely something to be aware of and discuss with your accountant or attorney. UBIT should be reviewed annually because this area is updated and revised by the IRS on an annual basis. UBIT is a matter to aware of if your church, including its programs are generating income for the church including its programs which may be considered business by the IRS (facility rental, youth fund-raisers, tours, corporate sponsorships, etc.). It is worth evaluating to ensure that the church’s tax-exempt status is not jeopardized. If the church is generating UBIT, then paying the tax is not a terrible thing, unless the income exceeds 15% of the church’s donation income (see comments below). First, does the income that is potentially UBIT exceed $1,000? If not, then it doesn’t require IRS form 990T to be filed. If it is, then the church needs to ask whether the income is UBIT. Is the income from a trade or business? ie. Sale of goods or services. Do you regularly engage in the trade or business? This includes something that might occur once per year, but every year (frequency and continuity). An annual pizza sale by the youth for camp scholarships might be an example. Are the trade or business activities unrelated to the tax-exempt organization’s purposes as stated in the church’s 501c3 application? The income must contribute importantly to accomplishing the organizations ‘s exempt purposes to be substantially related (from IRS Substantially related document, 3-Apr-2018). There are a couple exceptions that may apply. If all the labor is provided by volunteers. If all merchandise sold has been donated. Other exceptions include Bingo and business for convenience such as a cafeteria. Another concern that needs to be checked is the property insurance. Does your insurance policy cover the UBIT activity you are considering. Of primary importance, are the funds being raised from the UBIT less than 15% of the total donation income for the church? Exceeding 15% may imperil the church’s tax-exempt status. Again, this is not tax advice, merely informative information. Many nuances and each situation is different so it is important to check with the church’s tax accountant or attorney to ensure the church is in compliance and does not imperil the church’s tax-exempt status. If you don’t have someone, call the CSF office for some suggestions of resources other churches have used. What would happen to the FEC without CSF? The short answer to that question is pretty simple: less than is happening now. 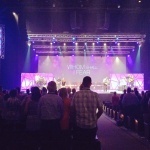 Without the Christian Service Foundation (CSF), FEC would experience less expansion, fewer church plants, less ability to respond to opportunities (such as the sudden availability of property), and more stress on congregations to pay for major repairs. Unfortunately, most banks won’t make loans to churches. 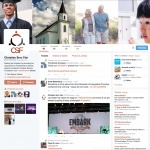 The good news is that you can help, just by investing in CSF! When you make that investment, CSF will pay you from 0.75% up to 1.5% annually on money that you invest. You choose the length of time, anywhere from “on demand” to the maximum investment period of three years. Here’s just one example of how CSF is expanding FEC’s reach. Meet Alex Ruhter, who is planting Wave Community Church in Deshler, a small, rural Ohio town. The only viable meeting location they could identify was the gym of a three-story school building that they could rent. In order to meet their start-up budget of $75,000, they raised funds from various FEC churches and the FEC denomination. 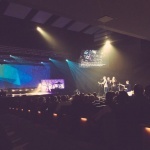 After raising most of the funds from other FEC churches and the FEC denomination itself, Wave Community Church still needed $25,000 to complete the purchase of a “church in a box” (CIB). With a CIB, church attenders can set up a church in about 90 minutes and repack it in about the same time. CSF met this need by providing a loan to this start-up church, enabling them to launch successfully. Attendance the first Sunday was 96 people, with an average of 70-80 regular attendees. The church settled in for about a year, preaching the gospel, baptizing and meeting the needs of the community. 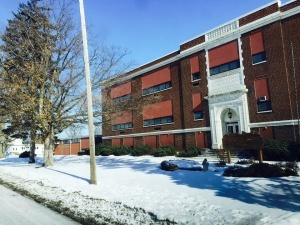 In the summer of 2016, the school district told Wave that as of August 8 they would no longer be able to rent the school because the district was going to tear it down. Wave pursued every option they could think of, including trying to buy the school building with a looming eviction deadline. 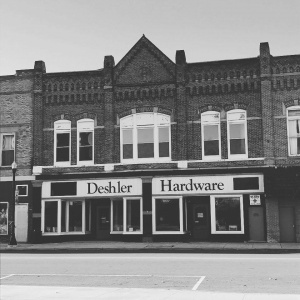 In November of 2016, God came through in a big way, opening the door for Wave to purchase a hardware store from a local investor. The building still needed a considerable amount of renovation, but the size of the space and the location were excellent. Wave’s goal was to try to close on the building in time to meet in it for Christmas. This gave them only about three weeks to do due diligence on the building and title, put the funds in place, close on the building, and prepare the building for a service. 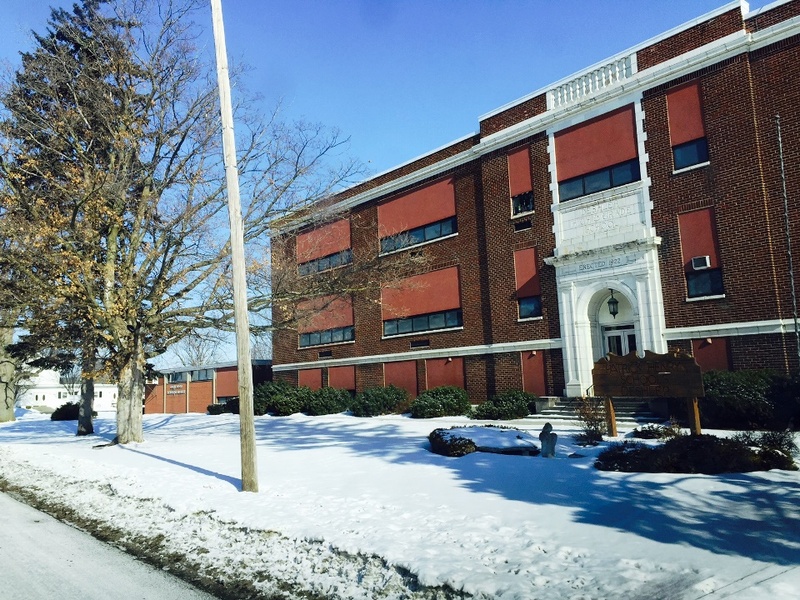 Because of the support of our CSF investors, CSF was able to respond quickly to this need by providing both advice through the purchase process and then the funds to purchase the building by December 15, to meet their Christmas goal. Since that time, Wave has learned that they could be eligible for up to $20,000 in grant funds to help renovate the building. Wave just needed a $20,000 short-term loan to purchase the materials in order to receive the grant reimbursement. At the same time, a local farming family was looking for a building to disburse donated food to those in need. Rather than purchase a building, this family made a donation to Wave with enough funds to purchase a building just a few doors down from the new church location. 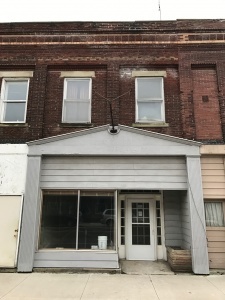 The city grant program, announced in January, would apply to the second building as well, providing another $20,000 for refurbishing the second building. Wave now has two buildings, both requiring extensive renovations, a small body of attendees, no funds, and a grant opportunity that would require them to spend $40,000 in order for the grant to reimburse them the $40,000. This is where investors’ funds at CSF were able to have another role in God’s work and provision. CSF is providing a short-term loan to Wave of $40,000 to purchase remodeling materials that will then be repaid by the grant funds. God is truly amazing in the ways he has answered Wave’s prayers—above and beyond what they were seeking. 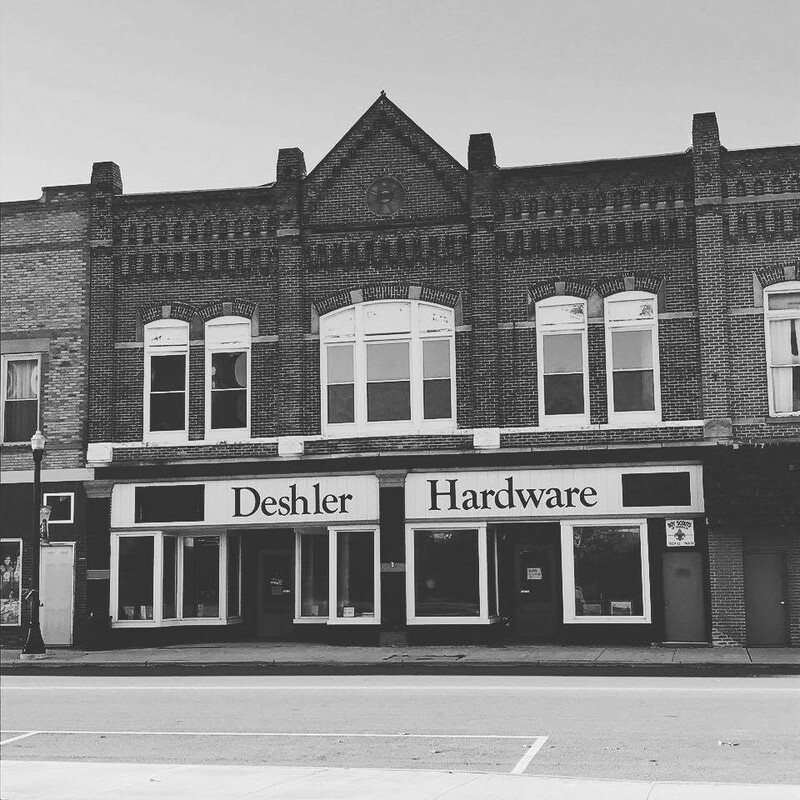 If you’re committed to more people learning about Jesus, like the people in Deshler, Ohio, a CSF investment is the perfect option. Together, we can impact many more communities for Christ. See future blogs for updates on the progress that Wave is making toward renovation of these two properties. Victor and Bea Rupp loved how so many kids came back from Christian camp with a new zeal for Christ, salvation and rededication. They knew it changed lives. When their son, Ron, died at an early age in an auto accident, they began making gifts to Miracle Camp in Ron’s memory. When Victor and Bea passed on to Heaven, their will divided their estate five ways—four ways were between the four living children, and the fifth was a Donor Advised Fund at Christian Service Foundation in Ron’s memory. Knowing how much the experience of Christian camp meant to their parents, the four living children decided to set up the Victor Rupp Camp Scholarship Fund with their brother Ron’s Donor Advised Fund. The purpose of the fund is to help families with the cost of sending their children to Christian camp, when they may not have otherwise been able to afford sending their child. The family’s continued hope and vision is that other FEC families would add to the fund and make it an on-going effort to impact the lives of future generations for Christ through FEC camps. As you’ve read in the past two blog posts, “Positive Role Models Are Hard to Find” and “Camp Scholarships Change Lives,” the Fund just recently helped send two inner-city boys, Tristan and Brandon to camp this past summer for the very first time. While, traditionally, the scholarship fund only provides $25 coupons to FEC churches, it was realized that families in the inner-city need a lot more financial help than just the $25 coupon. It was decided that families with much greater financial need can receive up to 95% scholarships so their child can also experience the joy of Christ at summer camp. 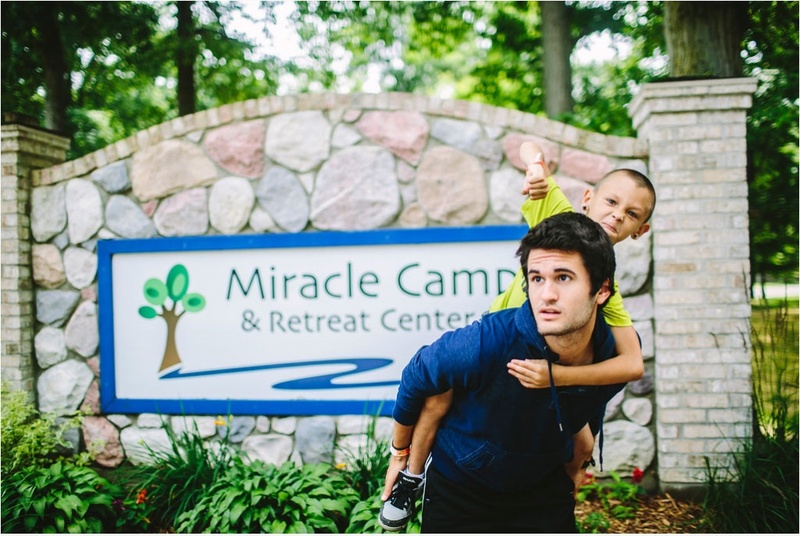 After Tristan and Brandon’s week at Miracle Camp, we received tremendous joy in hearing about their changed lives through attending camp for the first time. We encourage you to go back and read their moving stories, if you haven’t done so already. After nine years of helping send kids to camp, the Fund is getting low on funds. Our goal for the future is to be able to send more inner-city kids to camp. As of right now, we’ve identified eight inner-city children that need 95% scholarships, in addition to the coupons we are providing to other FEC kids. Our end-of-year goal to meet this need is $7,500. Would YOU support this effort to impact children with a Christian camp experience? 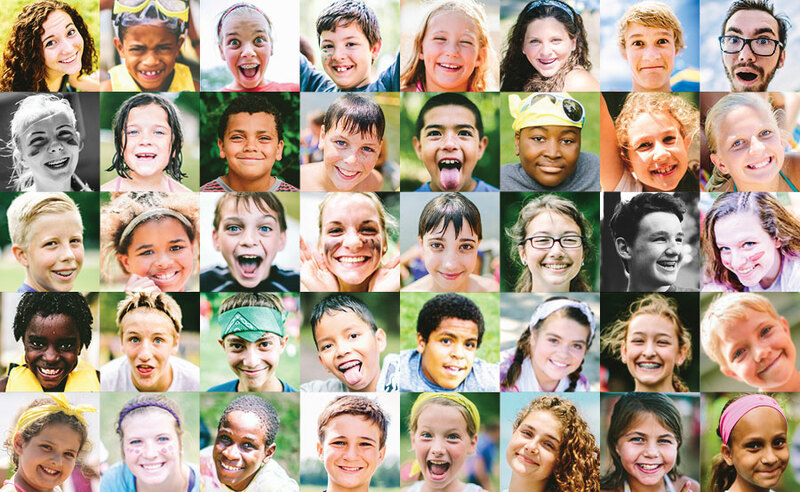 What a wonderful way to impact kids for Christ—by giving the gift of camp. You can give to CSF through the FEC donation web page at www.FECMinistries.org (look for the donation tab, and the CSF Camp items at the bottom of the pull-down menu) or send CSF a check by mail. Your gift is tax deductible. Thank you for your help in kids experiencing Christ at summer camp. We’ll be sure to keep you updated on their stories. Thank you to the children of Victor and Bea, for their vision in establishing this Christian camp scholarship fund. Through their generosity, many children have been positively impacted for Christ. Will you join what they began? 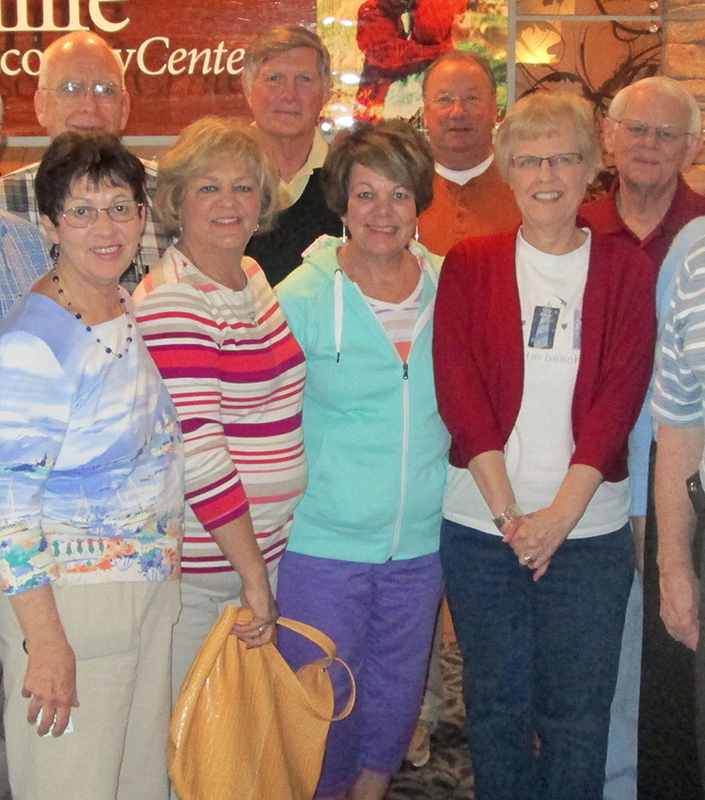 1st row l-r: Jan Brinkman, Char Tucker, Jean Ann Miller, 2nd row: far right Marlin Rupp. 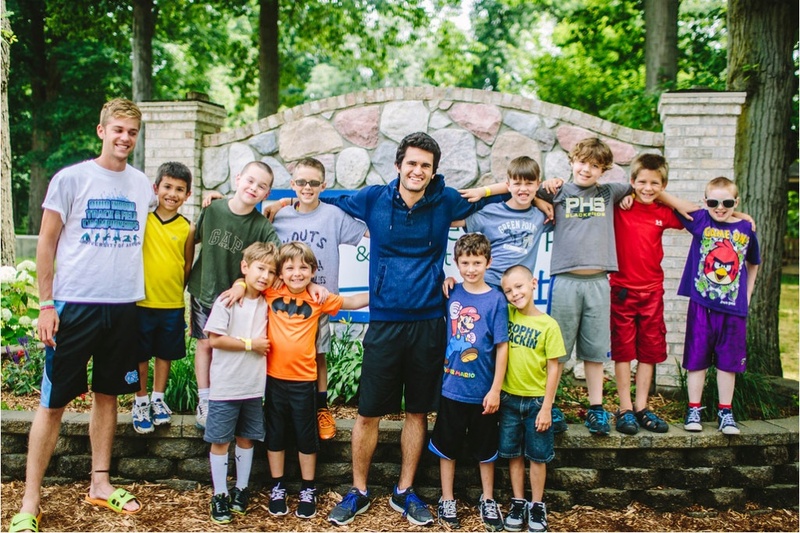 Brandon (far upper right in purple) and Tristan (lower right in neon green) pictured with their counselor Adam (middle in navy) and the rest for their cabin. Most kids have a role model, someone who they admire. Unfortunately, some role models impact kids in a negative way, but there are some who make a positive, lasting impact. The inner city can be particularly challenging to find a positive role model, someone worth admiring and emulating. It is filled with teenage boys, young adults and older men in their community abandoning their families, infringing on the law and altogether leading lives of sin. Brandon* and his friend Tristan* live in the inner city. Their impressionable eyes seeing this example set for them day after day. As you read in an earlier blog post about Tristan, he and Brandon were both able to Miracle Camp for a week this past summer due to a donation to the Victor Rupp Camp Scholarship Fund. While there, they got to experience positive, Christian male role models every day for a week. Their camp counselor, Adam*, was among the first to make an impression. Adam was able to spend one-on-one time with each of them, talking about their home lives, friends and family. Not only did Adam intentionally show Jesus’ love to both Brandon and Tristan, he also led the boys through games and other activities with the rest of their cabin. Whether it was playing capture the flag in the woods, building sand castles on the beach, the “story game” at bedtime or getting into a water fight while washing camp cars, Adam also showed them love just by being their friend. Adam is confident that him being put with the boys as their camp counselor was no coincidence and that God was certainly at work in all of their lives. We need your help to impact more FEC kids like Brandon and Tristan. After several years of giving children the gift of camp, the Victor Rupp Camp Scholarship Fund is running low. It is our hope to replenish the fund so we can continue sending children like Brandon and Tristan to FEC camps to be positively impacted and shown Jesus’ love. Please consider making a donation to CSF for the Victor Rupp Camp Scholarship Fund and make a lifetime impact in a child’s life. To do so, please give online (choose “CSF – Camp Fund” from the dropdown menu) or send a check by mail. Thank you for your prayer and support to help CSF and FEC spread Jesus’ love through summer camp. 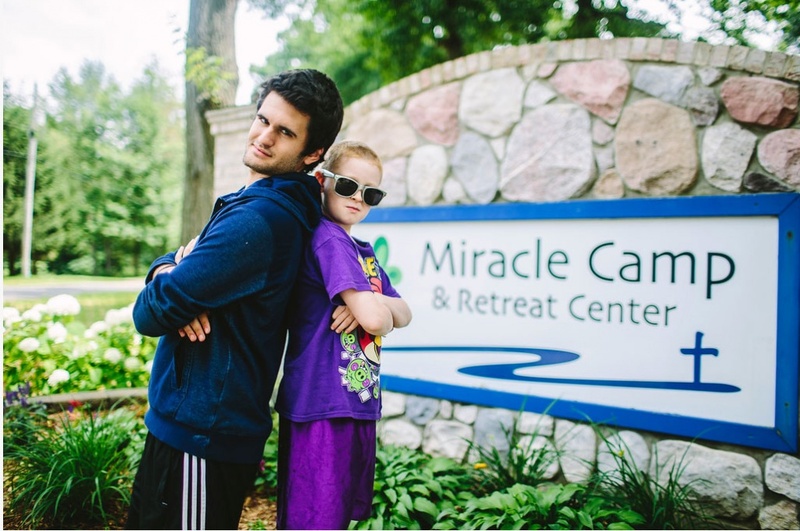 Adam and Brandon strike a pose in front of the Miracle Camp sign. Tristan and Adam take a goofy photo, sure to be a good memory! Tristan* and his best friend live in the inner city with their single moms. One of the boys had never been outside of the county, which is essentially all city. In the past, Tristan has been disengaged. Unresponsive to the love shown to him at FEC’s inner-city Mission Church. Living in the inner city, unaware of and unable to experience life outside of the inner city leads to despair and a challenge to envision something different. CSF manages the Victor Rupp Camp Scholarship fund. The program was set up by the family of Victor and Be Rupp, to honor their parent’s belief in the value of exposing kids to Christ through a Christian camp experience. This program was set up to provide $25 coupons to FEC churches to be given by the churches to needy children in their church to help defray the cost of attending camp. The number of coupons provided is based on the church attendance. Mission Church wasn’t using their two allocated coupons. 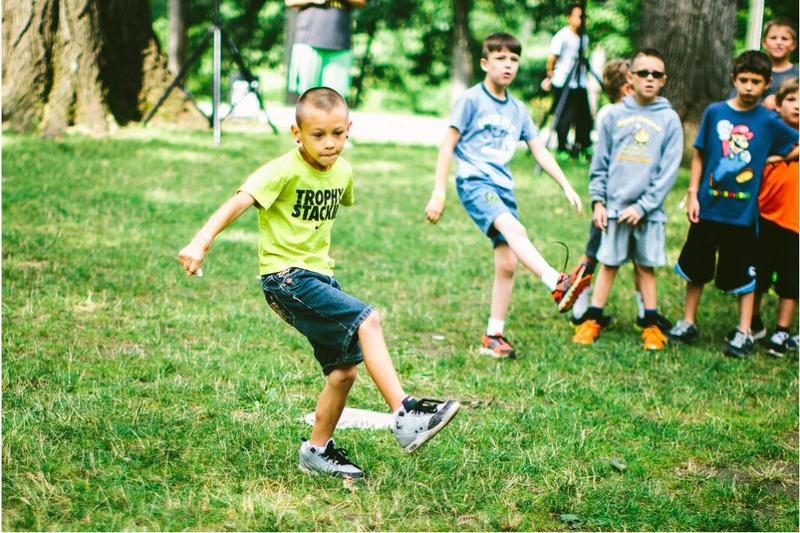 When asked, CSF found out that with the poor, a $25 coupon left too much of a financial burden to send their child to camp that costs $350-$400 for the week. Knowing the importance of opening a child’s mind to experiences other than the despair of the inner city, exposure to Christ’s love and the fun that a child experiences at camp, CSF decided to provide two camp scholarships that covered 90-95% of the cost of camp. This would allow the parents to still have some ownership in sending their child to camp. Tristan’s mother, who was unaware that an experience like camp existed, was highly suspicious and reluctant to send her child to camp. After considerable encouragement by the Mission Church staff she agreed. After a week at Miracle Camp, Tristan was exuberant. Positively overwhelmed by the experience and camp counselor. The one who was typically disengaged walked up to Mission Church pastor, Michael Brown, looked him in the eye and told him “thank you”. His subsequent thank-you note says it all (with original spelling). Thank you few giving me a coupon to go to church camp I had so much fun I went swimming I went to chapel played soccer played football cougt a frog and went to bed. We need your help to impact more FEC kids like Tristan. Some Inner-city and other FEC families can’t afford to give their child the gift of camp. Your donation will positively overwhelm other inner city kids and kids from other FEC churches with an experience at an FEC church camp. Please generously support the Victor Rupp Camp Scholarship Fund though a donation to CSF. To do so, please call CSF at 260-423-3649 or send an email to info@ChristianServiceFoundation.org. Thank you for your prayer and support to help CSF spread Jesus’ love through summer camp. *Name has been changed to protect privacy of the child. Last year, CSF added a new web site to our communication process. We also started a Facebook page and Twitter feed and we continue to enhance and build on communicating to our current investors and to potential new investors. 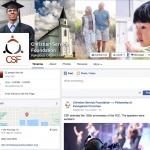 If you aren’t following CSF on Facebook, please be sure to “Like” us so you don’t miss any important and helpful information. We are excited to be offering legacy seminars called Provide & Protect 101. Statistics indicate that 70% of the people in the US don’t have a will or trust. You should actually have both. This seminar teaches you the basics of providing for and protecting your family through your estate. Watch for upcoming seminars in your area and if you’d like one for your church, please let us know. Attending the FEC’s 150th celebration of it’s founding was a special experience, celebrating what God has done through the people of the FEC denomination. It is a rich history rooted in the Anabaptist movement in Europe. I’m excited about 15 church plants, which is about 30% growth this past year and is due to God calling new pastors to start churches and a well designed pastor training program including a residency and on-going coaching. FEC is a dynamic denomination! CSF is blessed to be a part of this effort. We had a booth at convention where we showed some of our new loan projects and the exciting new emphasis on legacy planning. If you didn’t attend convention this year, please consider attending next year and if you aren’t a candidate, come to the worship service on Friday night. 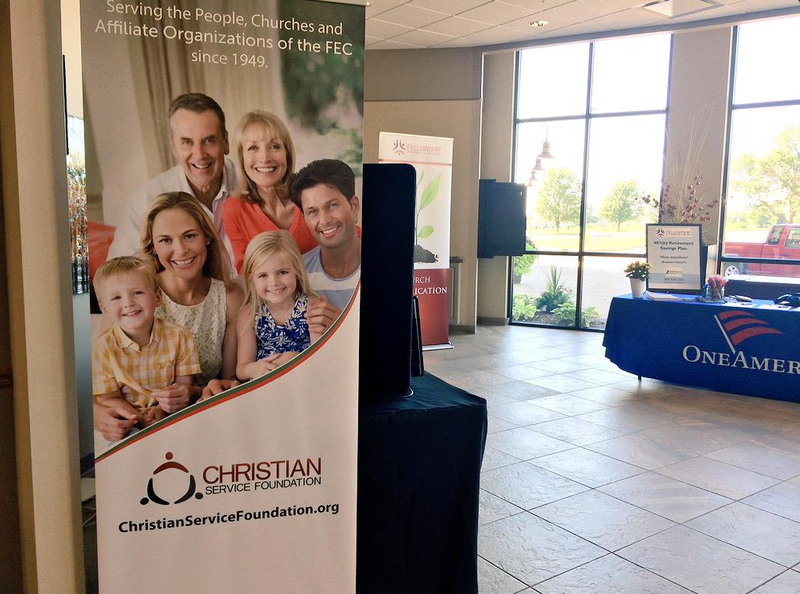 Christian Service Foundation exists to support and enhance the Christ-centered ministries of the FEC to establish reproducing churches worldwide. We do this by providing financial services to the people and organizations of FEC, primarily through offering attractive investments certificates, gift and estate planning vehicles, awarding loans an grants to FEC entities, and providing scholarships to FEC students pursing Christian higher education.